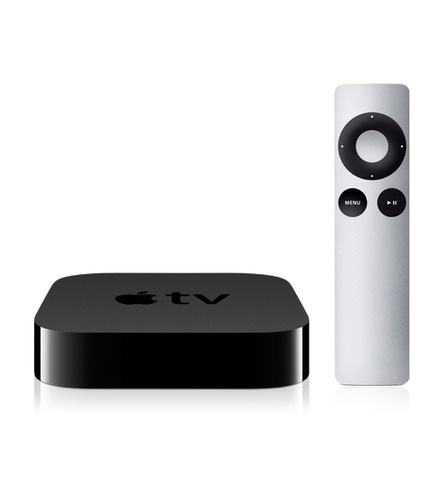 I bought an Apple TV network device a few months ago. There are many of these network appliances out there that act as an interface between your television, the internet, and your home computer. They will play music and video usually from any network source they are connected to. Looking at the other network devices available made me realize some of them had more content providers available on them than the Apple TV, and there is always that exclusive Apple country club tax involved when buying an Apple product. But still I knew I had to have the Apple device and the under $100 I paid for the latest version Apple TV seemed almost like a bargain. Most new TV’s and nearly everything else anymore, contain some kind of web app for anything from Netflix to Pandora. My 2006 Hitachi plasma TV doesn’t include any internet connectivity. But you’ll never get me to replace my plasma for lack of network apps. There’s no need for that currently anyway, as my Apple TV adds that same connectivity, within the Apple world, which is both good and bad. I purchased the Apple TV for a couple of reasons, but the reason I bought the Apple instead of another network device, was my reliance already on iTunes for my music. I bought a 20GB iPod in 2004 and have been using Apple music products when I could ever since. I also have an iPhone. But I still use a PC. I am too deeply invested in PC software to change to a Mac now. But I have a lot of reverence for any product with the Apple name on it. My next computer could be an Apple, now that they have some PC compatibility. I had been using a Universal Plug and Play (UPnP) audio device on my network, so this wasn’t a stretch by any means to convert to the Apple TV. That Netgear MP101 device was actually able to read an iTunes folder on a computer to play my iTunes music only. I use a program called GoodSync to duplicate my iTunes folder on the music server from my computer. I could manually update the files, but that would be too tedious. The Netgear device didn’t care that iTunes was not actually installed on the server, as long as the folders were arranged as when it is present. This way I didn’t have to have my personal computer on to play music. I could just use any old computer on the network to serve my iTunes folders to my stereo upstairs. That was easy enough. This Netgear music player did a very good job of serving music around the S/PDIF digital audio network I have constructed around the house. I was converting the analog output of the Netgear into optical S/PDIF. Now I split and amplify the Apple TV‘s optical audio output to connect to my system. I then split and amplify the optical signals again to make four outputs, finally converting each optical S/PDIF to 75Ω coaxial S/PDIF. I feel comfortable running each RG6 digital audio cable around forty feet to any digital audio device that supports coaxial S/PDIF. Any further than that and the signal loss could be a problem.